« New Western Hits From Michael Haden, Jim Burnett, Cherokee Parks And Charles Ray! Western Veteran Cherokee Parks Racing Up The Bestseller Charts For The Second Year Running! A brand new action-packed Western novel collection from “Hard Ride To Cora” bestseller Cherokee Parks. This is the Old West… Parks style! Three great Western novels—one huge adventure! Parks expands on the life of Colt Raines, a Confederate veteran trained in the art of dealing death that all began with the short story Colt’s Justice: Almost Home. Although now a peaceful rancher with a small place in East Texas, his skills and sense of right and wrong are still in high demand, which brings Jacques Devereaux in search of those services. Devereaux’s daughter and grandson are in trouble, held for ransom by a vicious killer, the leader of a band of men like him who have been gathered for the sole purpose of robbing trains and banks, and leaving a trail of bodies in their wake. As Colt takes on the job, he begins his pursuit where the criminal was last seen, Abilene, Kansas. Always seeming to be a step behind, Colt chases him into Colorado, New Mexico, back across Colorado to Wyoming, and finally to Lincoln, Nebraska. Colt manages to free the daughter and grandson and get them to apparent safety, but that is only the beginning of the fight to save them. The closer Colt gets to his quarry, the more bodies begin pile up, both friend and foe, until he finally manages to injure the elusive pariah and slow his movements. Still, the villain manages to escape once again, again leaving bodies in his wake. But his escape is only momentary, as Colt Raines, the relentless pursuer, ends his reign of terror on the plains of the Old West. In Cherokee Parks’ second book in the Colt’s Justice series, Parks expands further on the life of Colt Raines, a Confederate veteran trained in the art of dealing death that all began with the short story Colt’s Justice: Almost Home. Although now a peaceful rancher with a wife and children, and small place in East Texas, his skills and sense of right and wrong are still in high demand, bringing yet another individual in need of his unique talents. A one-time outlaw who turned to the ministry, thanks to a bullet from Colt’s Sharps rifle, comes seeking help for his entire congregation. Recommendations from friends in the San Angelo area prompt Colt to finally accept the request. Another friend, bounty hunter Bill Carson, decides to delay away his hunt for lawbreakers and include himself in this fight for justice. 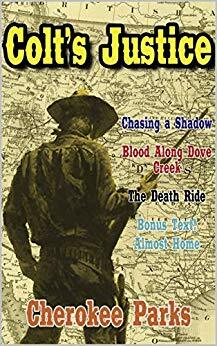 In Cherokee Parks’ third book of the Colt’s Justice series, The Death Ride, Parks takes Colt Raines, the Confederate veteran trained in the art of dealing death, on a journey to the mountains of Northern Wyoming and Southern Montana Territories. Leaving his peaceful ranch, and his loving wife and children, makes it harder than ever to do, but his sense of right and wrong compel him to take on another job in an attempt to stop rustlers from picking Wyoming ranchers blind. The request for aid is brought to his door by a man who falls dead at his door. Within the next few days, before Colt can even decide to accept the job, another man comes to kill him, but is thwarted by his new ranch hand. That attempt seals Colt’s decision, and he starts preparations to leave. About the Author – Little is known about this reclusive Texas writer. What is known is that he spins an excellent story, that he is a cowboy who still believes in, and lives by, the Code of the West, and that he has traveled the West extensively. Beyond that, he remains a mystery. 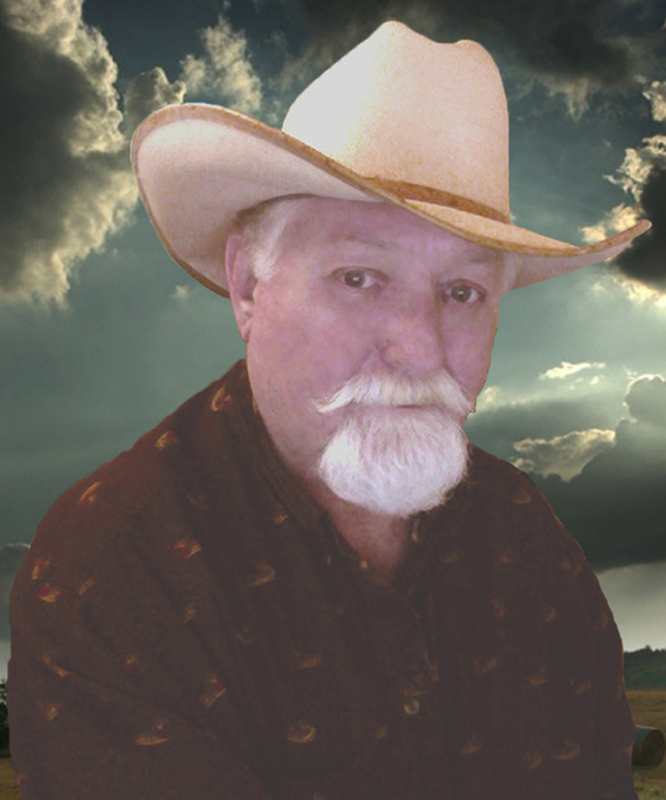 Look for other stories by this very talented Western author such as Willy Rode Alone, Pinto’s Run, Hard Ride to Cora, Colt’s Justice: Chasing a Shadow, Colt’s Justice: Blood Along Dove Creek and others as well as upcoming releases.